Not my usual Sunday post, I know, but I wasn’t prepared for a long rant, advice or opinion piece. I’ll be back on track next week no doubt! This morning, as I’m not taking outfits photos due to the rubbish weather, I’ve been trawling the ‘new in’ sections to find some pieces that I most certainly require in my wardrobe. First and foremost, those black block heel sandals are top of my list! Mostly because they’re the double of the Senso ones, but they’re only £30 instead of a whopping £160. Bargains, ladies and gents (if you’re so inclined). 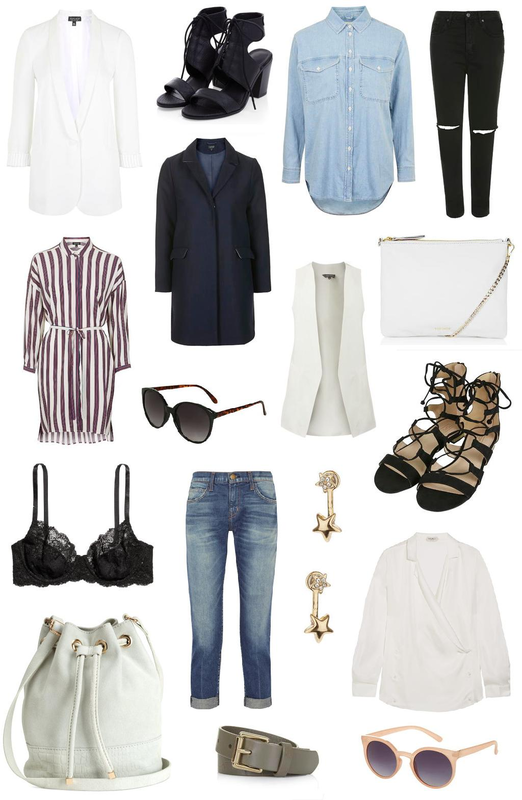 Other stand out pieces are definitely those other lace up shoes (another steal at under £30) and the white blazer. I’m definitely going to wear mine all summer I think! I also really love that bra, because a gurl can’t go wrong with black lace undies and I desperately need to stock up on some new pretty pieces. I’ll keep this post short as I’m off to sort through my beauty stash for a blog sale, so keep your eyes peeled for that later on today! EDIT: it’s live now, click here! What new additions do you want in your wardrobe? Lemme know in the comments.